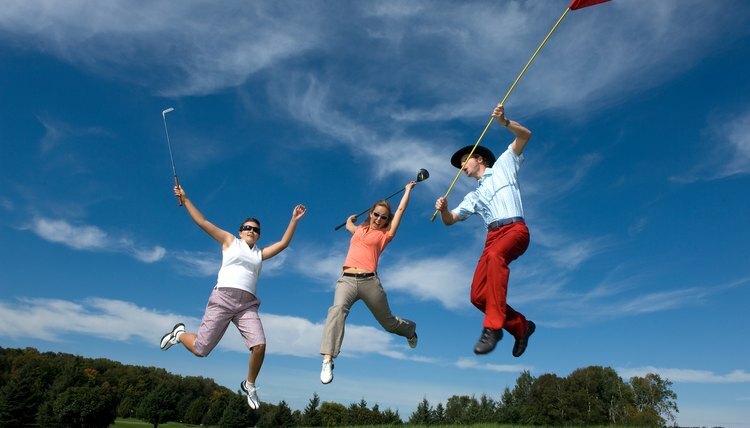 Fun golf games can spice up a round. To shake up the normal routine of playing a straight round of golf or to experiment with new formats, there are plenty of fun golf games to play. Whether for making friendly wagers or just for enjoyment, games are a great way to provide additional competition within the normal round. Most are relatively simple to follow, and some can be played with as few as three players. 2-2-2 rewards winners of each 9 holes as well as the full round. This is a simple game involving a small amount of wagering. 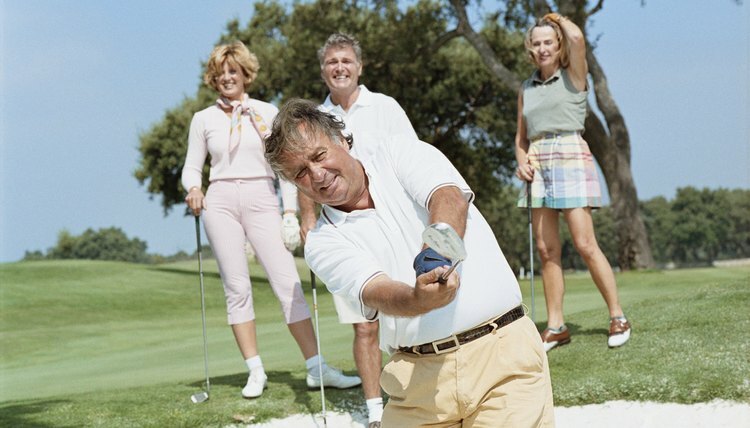 If playing in a foursome, each player puts up two dollars, with the winner of the first nine holes collecting the pot. The process is then repeated for the back nine, as well as for the best overall score at the end of the round. No Alibis gives higher handicap players additional attempts. 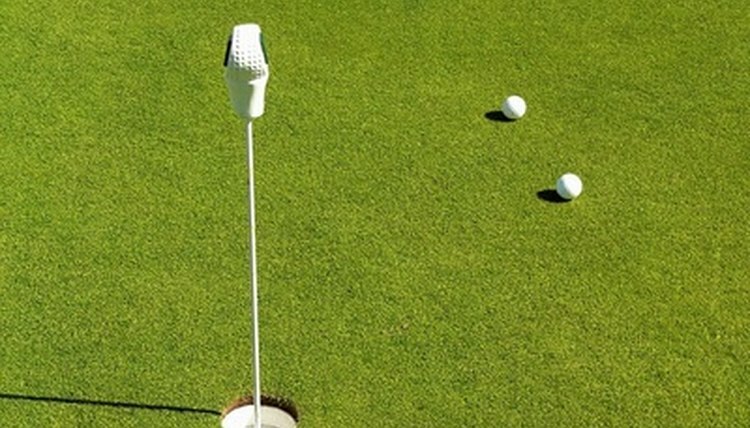 This game can be used as an alternative to individual handicaps. 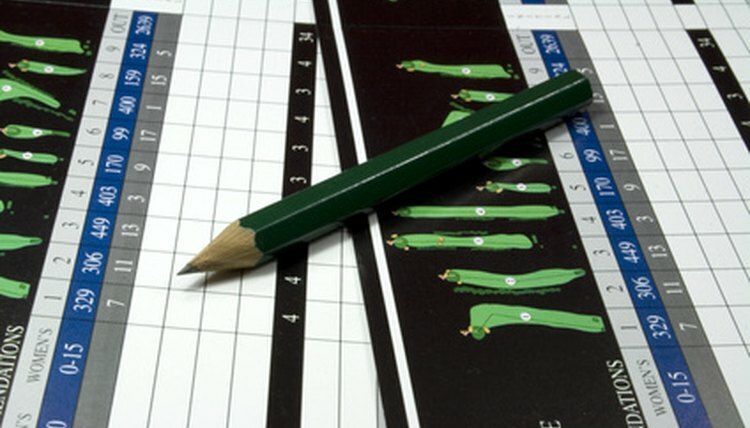 Instead of handicapping, players are allowed to replay a certain percentage of their shots during a round based on their handicaps. For example, if using a 75 percent system, a 12-handicap would be permitted to replay nine shots during the round. 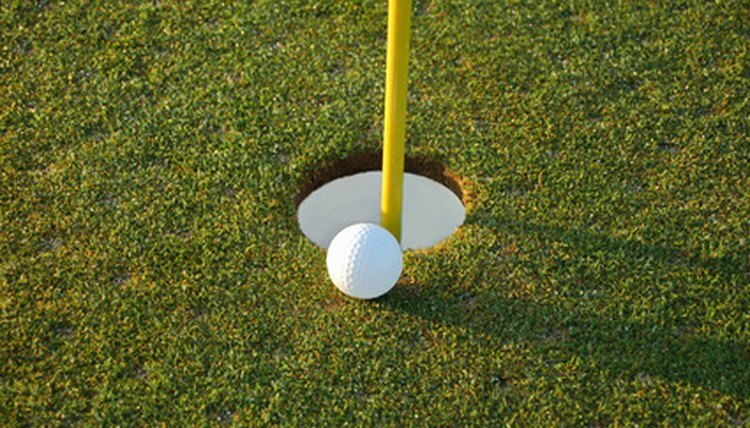 The player is only allowed to replay a particular shot one time and must accept the result of the second shot. Selected Score is played over two days. This is typically played over a period of two days. Each player completes one round each day, then selects the best hole for each of the two rounds. The two scores are then combined, and the player with the lowest total is the winner. In Trouble, players must avoid hazards. 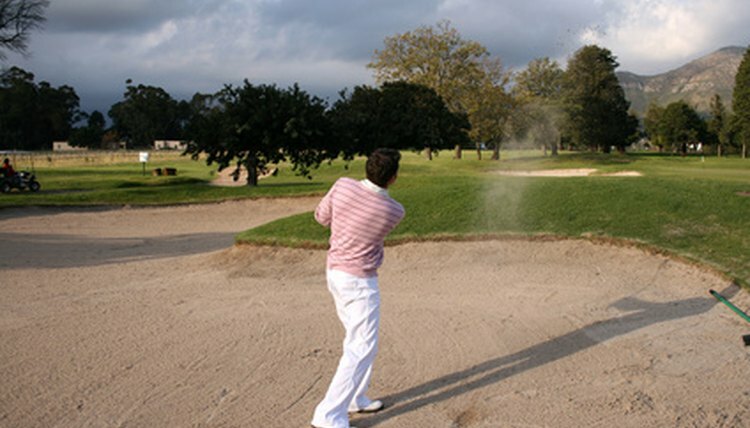 In this game, the object is not necessarily to achieve the lowest score for the round but to see which player can avoid difficult situations such as bunkers and hazards. A player is charged a dollar for each misstep, which must be paid to the other players at the end of the round. Wolf pairs different players against each other throughout the round. Wolf is a game involving three players. After each player tees off on a hole, the player with the middle-distance drive is considered the wolf, with the other two players becoming hunters. The wolf wagers two dollars, while each of the hunters wagers a dollar. To win, the wolf’s score for the hole needs to be one-half or less than that of the hunters. For example, if the hunters’ combined score for the hole is nine, the wolf must shoot a four or better to win. In the event of a tie, the process carries over to the next hole.